When it comes to life on and off the ice, Brandon Saad hopes the new year is a carbon copy of 2016. It’s easy to see why he’d feel that way. Hockey – both from an individual and team standpoint – has indeed been good for the 24-year-old forward from Gibsonia, Pennsylvania. Statistically speaking, Saad, whose career-high mark for goals is 31 (a number he achieved in 2015-16), is on pace for his best across-the-board offensive season to date, including topping the 53 points he posted last year. Team-wise, his Blue Jackets are ruling the NHL roost, showcasing one of the game’s highest-scoring offences and tightest defences. Ask Saad, averaging 17:24 of ice time this season, to choose a trio of teammates who deserved an extra present or two under the Christmas tree this year for their contributions to Columbus’ success story, and he smartly stickhandles around the question. A two-time Cup champion with the Chicago Blackhawks, Saad came to Ohio in June 2015. “He is a proven winner and exactly the kind of player we want as a Columbus Blue Jacket,” noted general manager Jarmo Kekalainen on the day of the announcement. Saad, who scored his first NHL hat trick on April 2, 2016, is a big reason why Columbus is navigating a much smoother path towards a post-season berth this campaign. After missing out on the playoffs the past two campaigns, the Blue Jackets have so far stamped themselves as a legitimate Stanley Cup contender. And there’s also plenty of reason for Saad, who has six points (four of them goals) in his past five games, to be grateful as 2017 draws closer. It’s why his response is hardly a surprise when asked what message he’d like to pass along to hockey fans over the holiday season. “I would tell fans and everyone to enjoy your friends and family because being around family and people you love is what the holiday season is all about,” said the left-winger. Playing against Brent Seabrook isn’t fun. Playing with the Chicago Blackhawks defenceman is. Brandon Saad knows all about that. One of the NHL’s most dynamic young forwards, Brandon Saad will suit up for Team North America at the upcoming World Cup of Hockey. Before the puck drops, Saad takes fans on a tour of his hometown of Gibsonia, Pennsylvania. 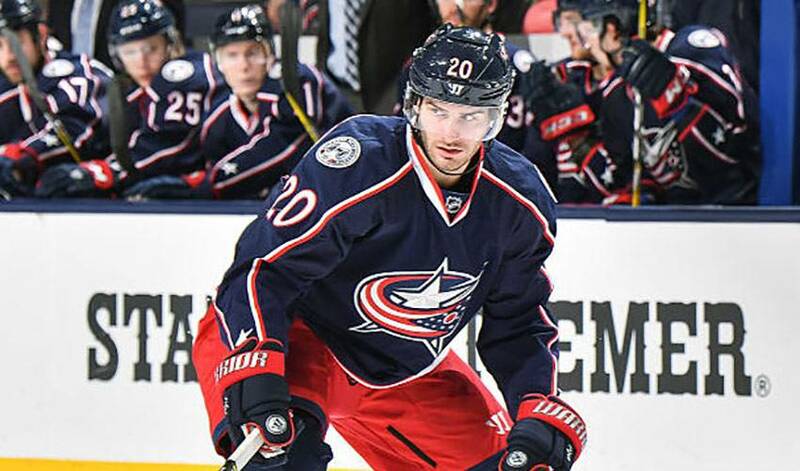 Brandon Saad’s team-first attitude extends well beyond his contributions on the ice. In 2018-19, his third full season with the Blue Jackets, the Anderson racked up career-high marks in goals (27), assists (20), points (47) and game-winning goals (5).